Nutraceutical is a concept born from the union of the words nutrition and pharmaceutical and refers to those natural foods that have a positive effect on people´s health beyond basic nutrition. These products are developed through biotechnology processes, from nutrients and other substances after a process of isolation and purification. 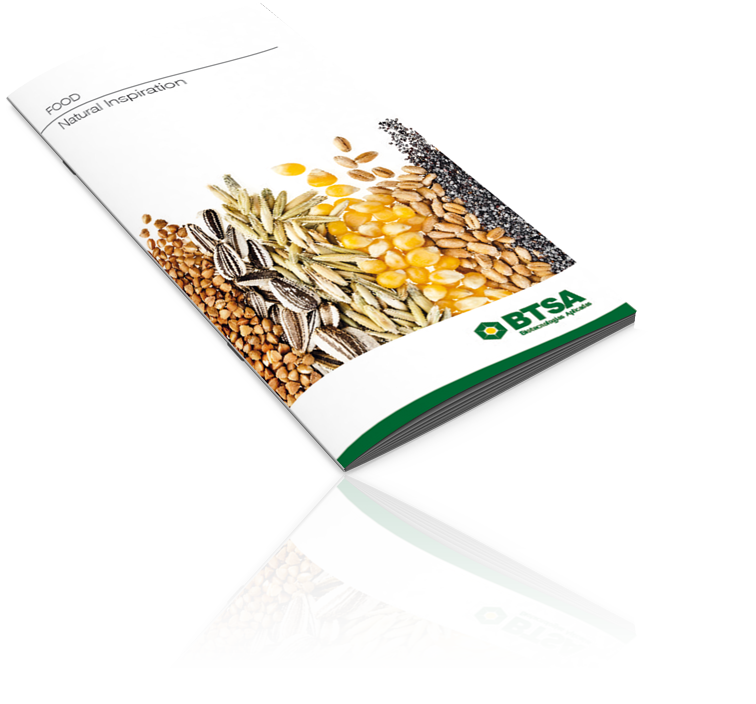 In BTSA we have developed a series of natural additives and nutrients for the nutraceutical industry in order to promote good nutrition for people through natural antioxidants that increase the useful life of products (Natural Tocopherols), and active ingredients for food fortification (Natural Vitamin E and Omega 3). For over 20 years we have been developing natural ingredients and tailored products for different nutraceutical applications. We also have sales offices in Spain, United States and Mexico, and a distribution network that allows us to now reach over 40 countries on five continents. In BTSA we have developed a range of natural and semi-natural antioxidants, always seeking greater efficiency for each type of application. Natural antioxidant made from tocopherols from Non-GMO vegetable oil or sunflower oil, developed exclusively by BTSA. A unique product in the market. A range of natural and semi-natural antioxidants that combines Tocobiol® with different active ingredients creating a synergistic effect to increase its antioxidant capacity. Mixed Tocopherols from Non-GMO vegetable oil or sunflower oil. A 100% natural antioxidant, ideal for stabilizing food supplements and dietetic products. BTSA´s range of active ingredients provides high-tech solutions, based on natural and stable products for safe and easy incorporation into any kind of product. Natural Vitamin E (D-Alpha-Tocopherol), from Non-GMO vegetable oil used in the nutraceutical industry to fortify and enrich food supplements and dietetic formulations. If you have any questions, do not hesitate to contact us. One of our consultants will get in touch with you to assist you and give you all the information you need.